Achieve an effortlessly cool look with these edgy elevated sandals. 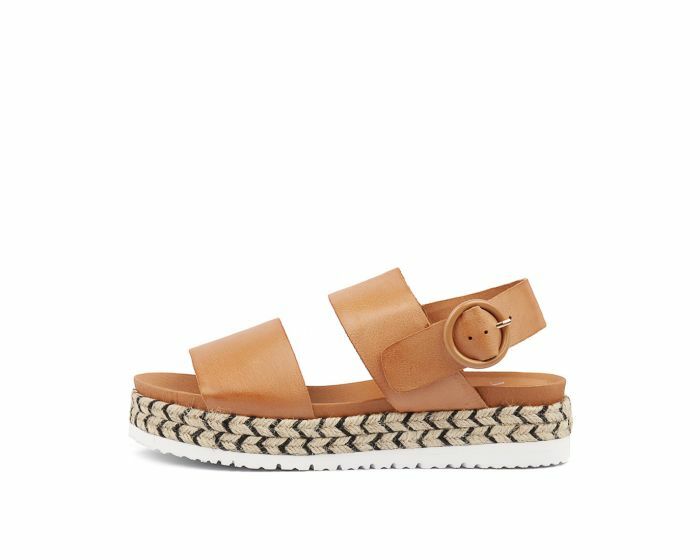 They feature a unique spin on the classic woven jute espadrille, with a contrast flatform sole and a wide strappy upper for that on-trend touch. This eye-catching pair will soon become a staple choice for off-duty dressing and beyond.